Howdy ya'll! In case you're not already...let's be friends on Instagram, shall we? 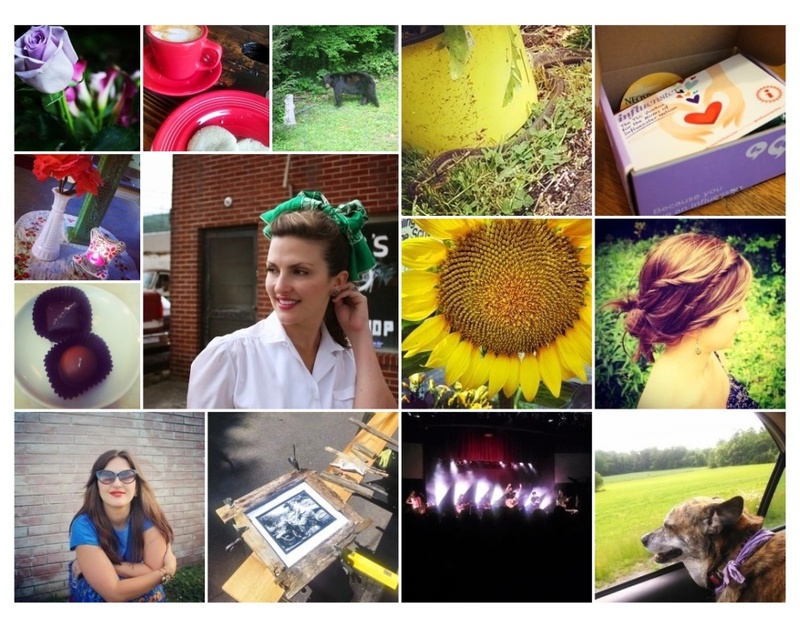 Here's what my June looked like. I didn't lose my phone this month so I actually have some photos! Whew! *I enjoyed by flowers from Bouqs.com! Check them out because they are running a special on free shipping right now! *since seeing this guy in the yard I have also seen a raccoon, a snake (who stayed around for a week or so), and a jack rabbit. The one animal I am trying to attract won't come! Bats! Must.eat.mosquitos! 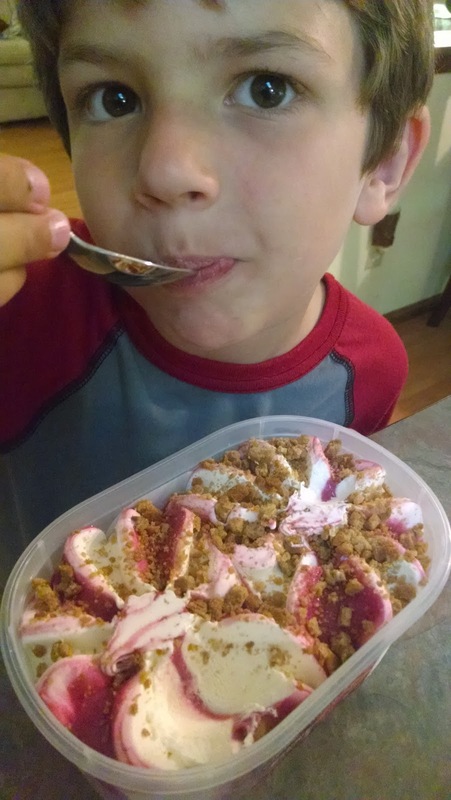 *I so enjoyed my 2nd Voxbox from Influenster! I love how a simple jumpsuit is instantly chic and stylish. As usual, I was in a rush to get out the door and go to my stepson's high school graduation and I had just gotten out of the shower with wet hair and no time for a fussy outfit. No time for fussy hair either so I went with Heidi braids. We stopped by one of the beautiful churches in downtown Asheville for some photos. I got some great pics of the hubby too so he could update his Linked In & work profiles with some professional shots. They turned out great. The architecture of this old church is just, well, grand. I need to spend more time downtown just enjoying the architecture. I took an art class in college that focused a lot on Asheville architecture and I've never forgotten about the things I've learned. I get excited to learn the stories behind the buildings themselves. I need to rekindle that excitement! And if you're like me, when you do get excited, you do the running man. I love me some good crazy pants let me tell you. I got these and thought, "I'll just wear them around the house"... And then low and behold I'm wearing them out in public. I slapped a necklace on and some red lipstick so my pajamas looked like acceptable clothes. Did it work? I'm not sure but I'm an old lady and I don't care. My 30 cats are just out of the frame off prowling in the grass. Spoil your special someone. 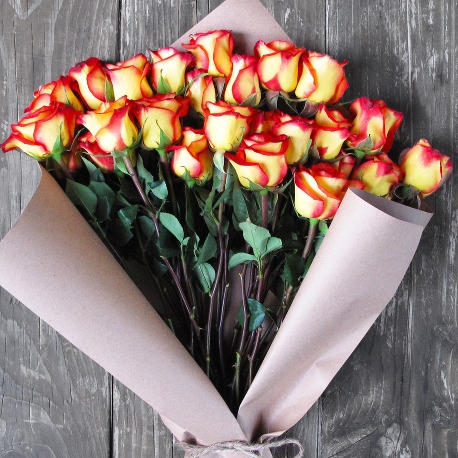 24 roses, just $50 and FREE SHIPPING! Shop The Bouqs Co. Flowers now! I went to their website and perused their selection. What I noticed first was all of the brightly colored flowers. A great selection! I loved how they were wrapped in kraft paper too. I made my choice and went with the "Treasured" bouquet. I loved having fresh flowers in the house! 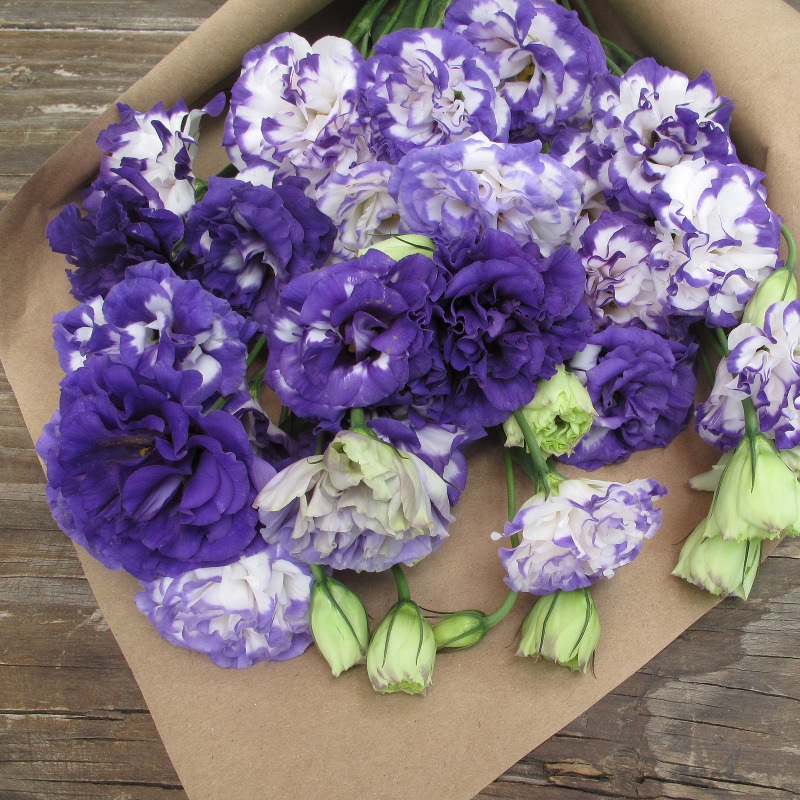 I adore the quirkiness of Bouqs.com. 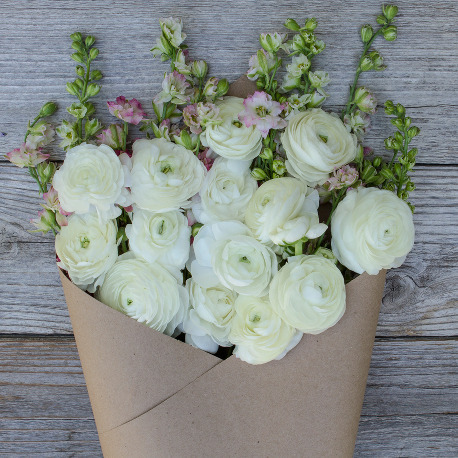 Head on over to Bouqs and check out their selection! I don't think you'll have a hard time finding something you like. I know I didn't! *disclosure: my affiliate links with Bouqs.com are present in this post. I was provided the flowers free of charge but all opinions are my own. I received my TLCVoxBox a few weeks ago????? and I have tried out all of my goodies and wanted to let you know how everything worked. First off, we tried out the Neo-to-Go spray for cuts and scrapes. It also has "no sting" it in. It worked very well. We didn't have a boo boo to spray it on for a few days but it didn't take long for my son to fall on some rocks at school and get a few nicks. Here is our little post we put on Instagram about it! Zap it for about 1 minute. It will be warm/hot to the touch so be careful with little hands! Here's what it does! 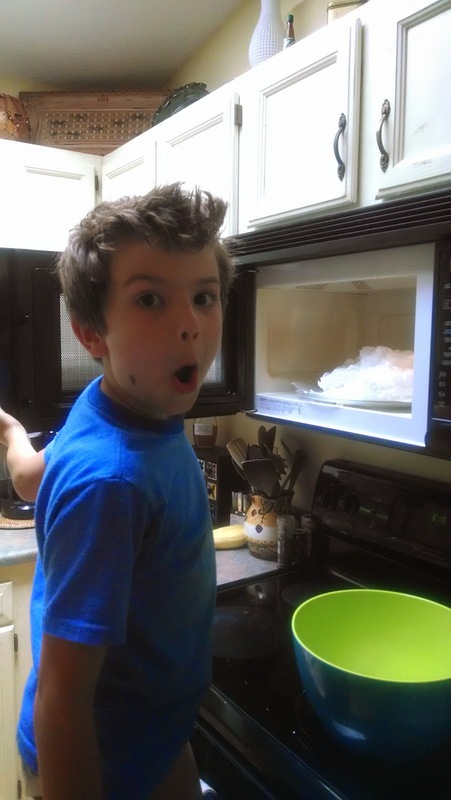 My little guy wanted to keep on cooking it so I let him. It won't hurt a thing! Then, he didn't want the fun to end and I didn't want it to either. 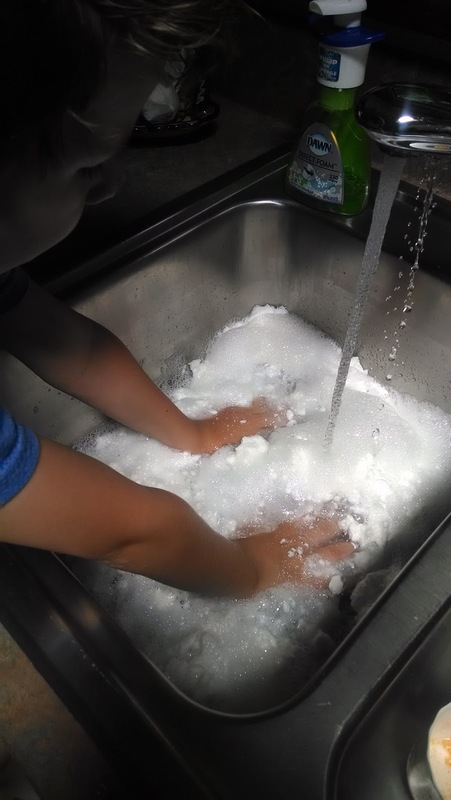 We used it in the sink for just some water play. It pretty much dissolves back into soap. 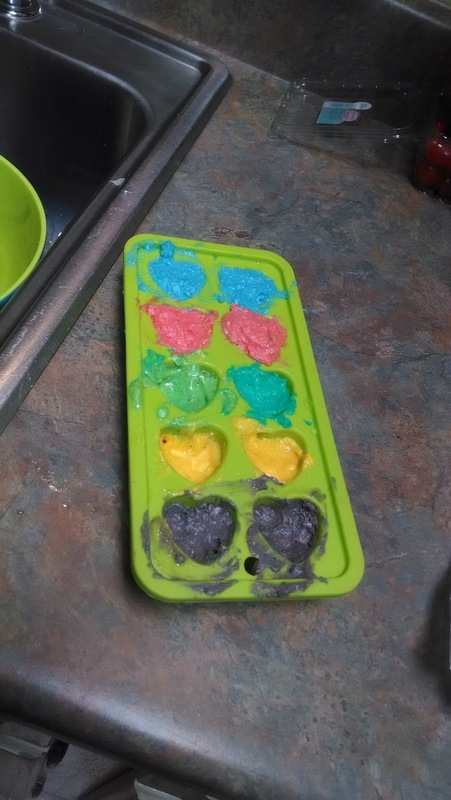 I quickly grabbed the silicone mold that I had and thought we might be able to make bath crayons. 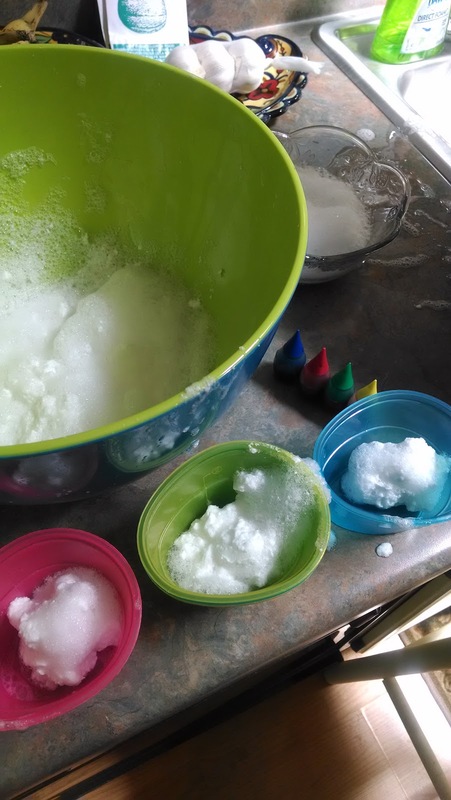 We took wads of little soap clusters and added food coloring. At this point I had no idea if this was going to work but I really had nothing to lose. It was entertaining him and it was good clean fun. HA! Did you see what I did there. Oh Lordy. 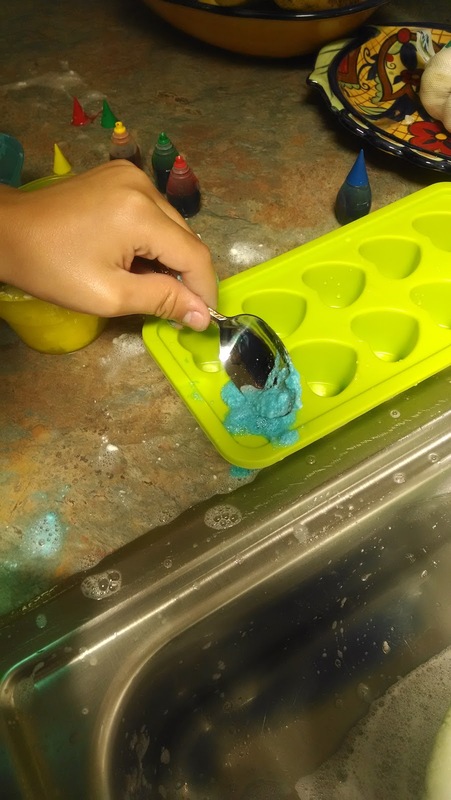 He packed the colored soap into the molds. We let the mold set for about two days. They worked! I didn't get a photo of him drawing in the bathtub cuz we have a beige bathtub (I know - need a bathroom remodel) so it didn't pick up the colors too well. Needless to say my son loved it. Win Win. He had fun, he got clean. Thanks Ivory! Now mom's turn. 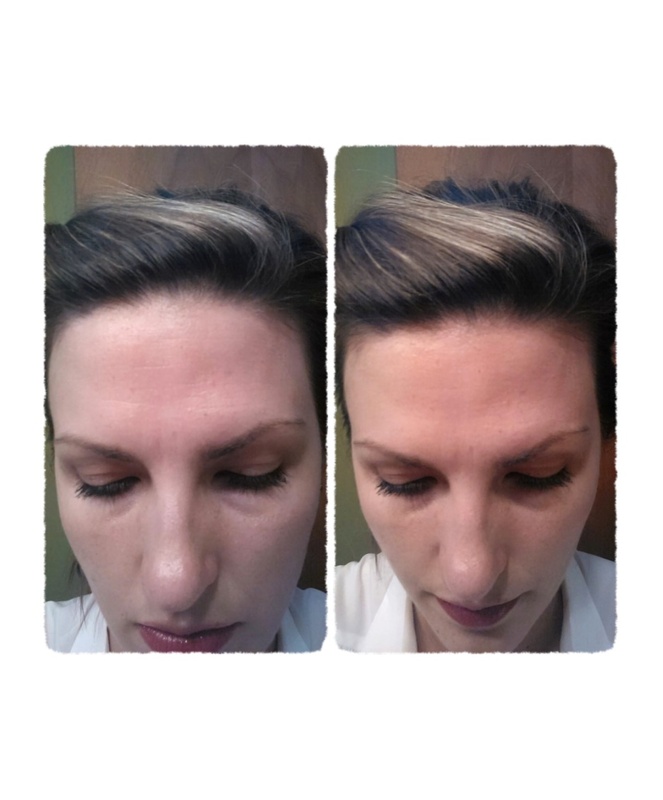 I tried out Avon Anew Reversalist Wrinkle Smoother next. I liked it! It isn't heavy like it feels like it would be. I started by rubbing it in. Then read the directions. It said don't rub it in. Whoops! Ha. You're suppose to dab it on your wrinkles. Ahhhh... I did that and it worked well. I tried taking a before and after but it was just hard to translate to the camera. The one on the left is nothing on. The one on the right is with the Avon Anew Reversalist. You can see a little bit of difference. I noticed it more in person. It worked better on my forehead than it did in my laugh lines. But my laugh lines are pretty deep. It would take some concrete mix to make a difference there! SO! What's next? Puffs Plus to Go of course! I love these little to go Puffs. They fit so nicely in the car, in my pocketbook, by your bed on the nightstand, anywhere! You could really have about 10 of them and be set. 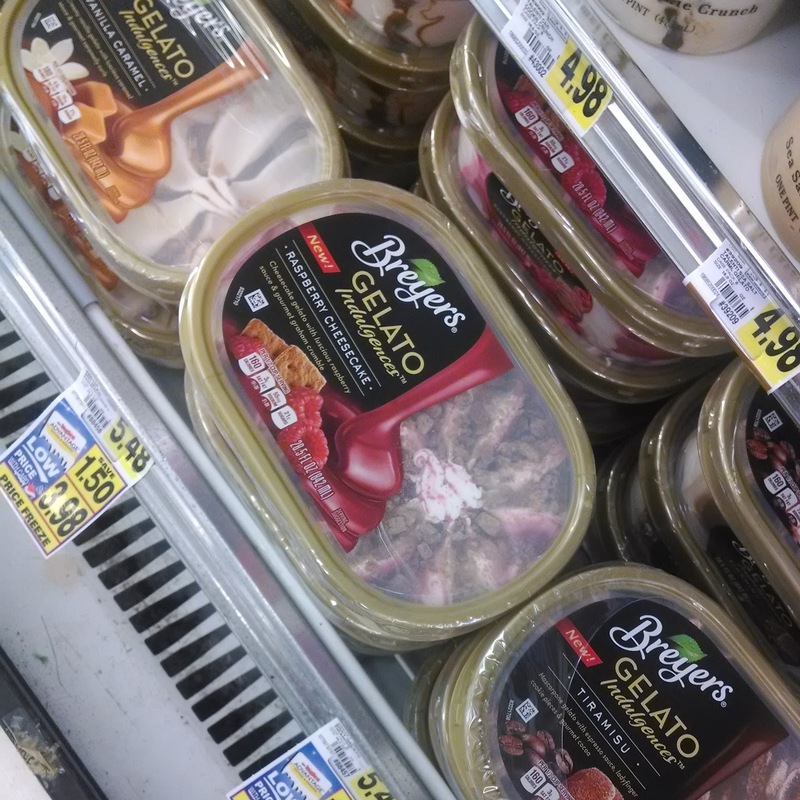 One of the other things I got in the TLCVoxbox was a coupon for Breyers new Gelato flavors. Yum! I rushed right out and checked out what my local store had. Unfortunately, they only had 3 flavors. 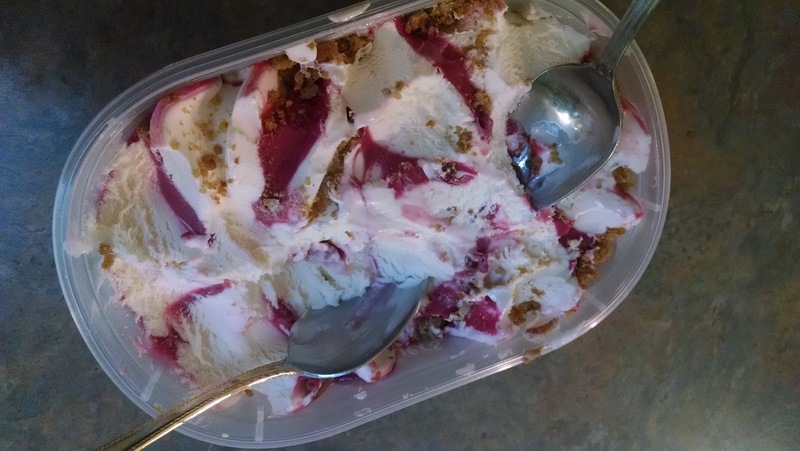 They had the Vanilla Caramel, Tiramisu and the Raspberry Cheesecake. They were missing the Triple Chocolate. That's ok. I chocolate myself out on everything else so I went with the Raspberry Cheesecake this time. It really is delicious. I like the graham crackers on top. It's easier to dig into than ice cream. It won't bend your spoon! The Shell gas rewards card is the only thing I haven't used yet. I generally go to Ingles for gas. They have the best prices in my part of town. There you have it! Another fun VoxBox from Influenster. Let me know if you would like an invite! I can send you an email and you can get started yourself! I love getting freebies and trying out new things I wouldn't otherwise buy because I don't know how they work/taste. I love Influenster and will keep hoping I get another one! *disclosure: I received these products complimentary from Influenster for testing purposes. All opinions are my own. I'm back down at Faye's! I got an itch do go a little retro the day I needed to go to my son's awards ceremony. I had this outfit set aside for a little while because I finally took the pants in to get them taken up in the waist. They never have fit well in the waist but I just never got around to taking them in. Finally I did and I am so happy that they are done. 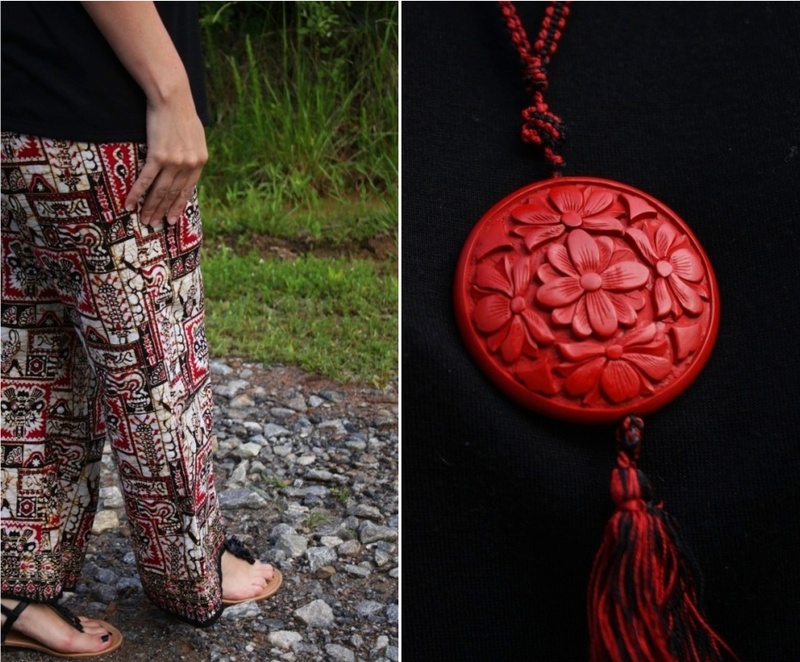 I love love love the color green and these pants are perfect for summer. Especially with my knee still being a problem. It still swells and hurts from the car accident a few months back. I have to wear a brace and pants hide the brace well. Also, I am not wearing my arm splint/cast here but not because I am free of it all together but I just go without it from time to time. I loved this outfit and it renewed my love for vintage and pinup hairstyles! Anyway! Let me show you this cute little pin curl I learned how to do with my bangs. It totally helps that "growing out the bangs" period. I found a video on you tube and just knew I had to try it. I made a video too so I could show you how to do it. It's so crazy easy!! !